In a mixing glass with ice, stir the gin and tonic syrup to chill. Strain over the club soda and fresh ice in a rocks glass. Squeeze a fresh wedge of grapefruit over the cocktail (optional). Do not garnish. 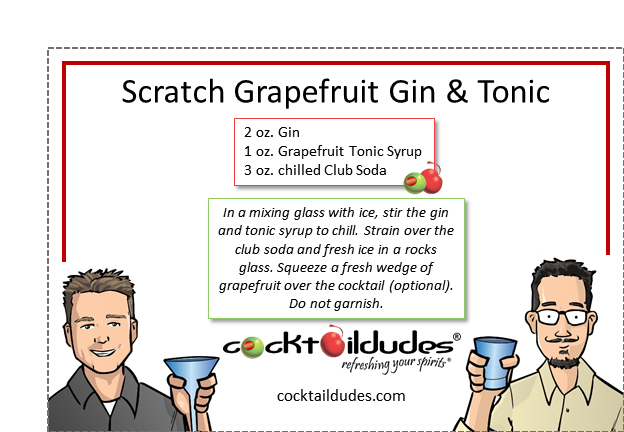 *See our Grapefruit Tonic Syrup recipe/video. There is nothing quite like making a Gin & Tonic from scratch. 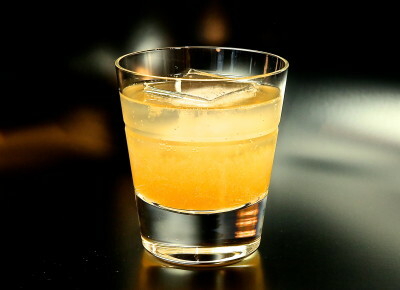 This delightful cocktail utilizes our homemade Grapefruit Tonic Syrup. 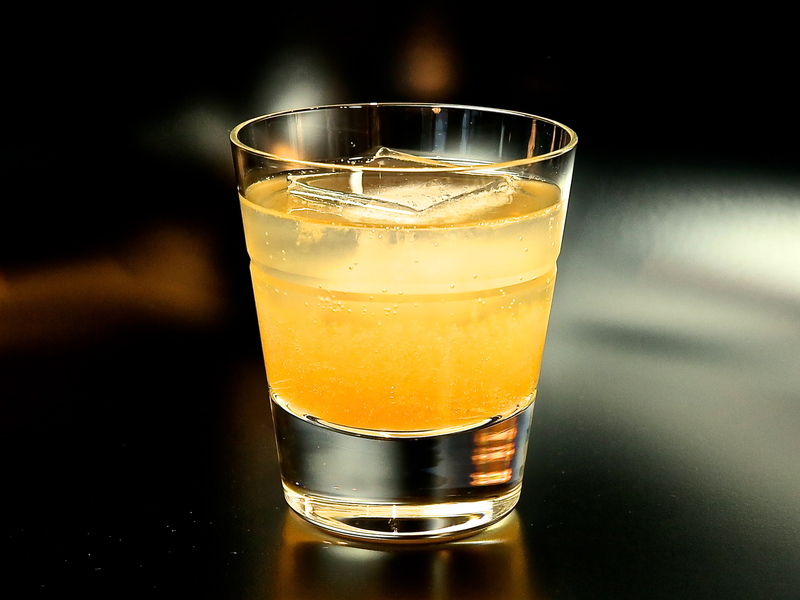 Layered with tons of delightful grapefruit bitterness that marry well with the botanicals from the gin, this cocktail could very well become one of your favorites. If you enjoy this, be certain to check out our Tart Cherry Tonic Syrup and the Tart Cherry Gin & Tonic we make utilizing that. Cheers!